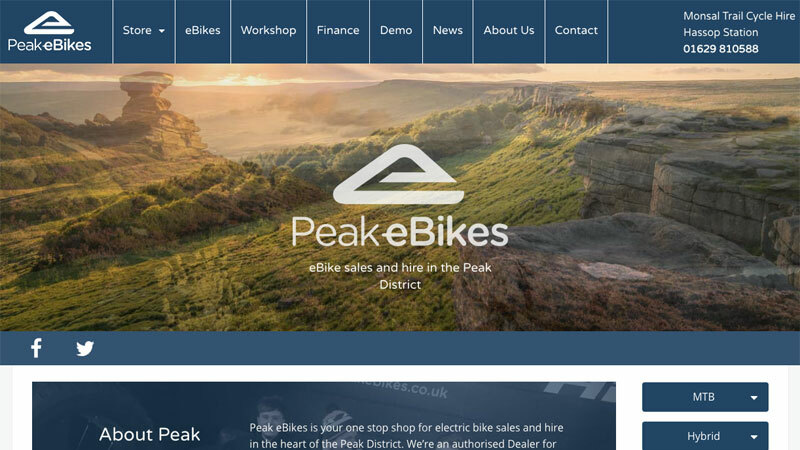 Now in its second revision, Peak eBikes is a successful bike specialist based in the Peak District. Peak eBike is part of a wider operation which includes Hassop Station Cafe and Monsal Trail Cycle Hire. We were initially bought in before Peak eBikes launched to create the website and advise in other areas with our duties expanding at the end of 2017 to include the Hassop & Monsal websites. As well as the websites we also assist with social media.